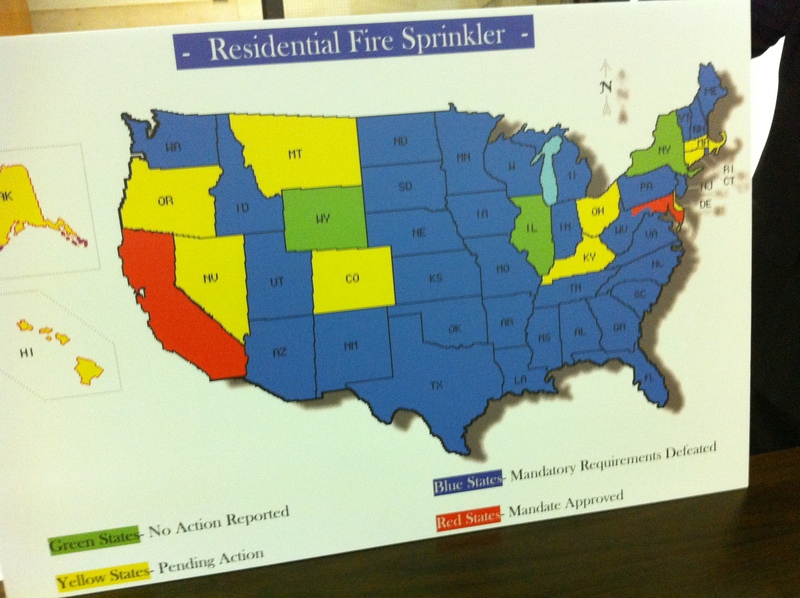 31 states said no to sprinklers, contractors, what will Mass do? On 12/13/2011 I testified on behalf of EMNARI and the remodeling industry at the BBRS hearing opposing the Massachusetts Stretch Sprinkler Code provision. I was fortunate to be the first contractor representative to speak right after state representative Matt Beaton who is a NARI member and remodeling contractor. As I looked up at the board on each end I saw a Fire Chief in full uniform and wondered do Mass contractors really have a shot at going up against the big union machine to stop the sprinkler mandates?